Content Creation: Content creators will be rewarded tokens if readers like their valuable content. the higher the content ranks, the more tokens the creators will get. Content Communication: Viewers can vote on and share high-quality articles, and the benefits of these articles will be distributed based on the user’s contribution weights. Paid Q&A: High-value information equals opportunity in the business world. Sharing valuable information to questioners can bring you more benefits. Ads Monetization Change the traditional advertising model. The advertiser pays tokens to publish ads, and the advertising fees will be distributed based on fan’s contributions. 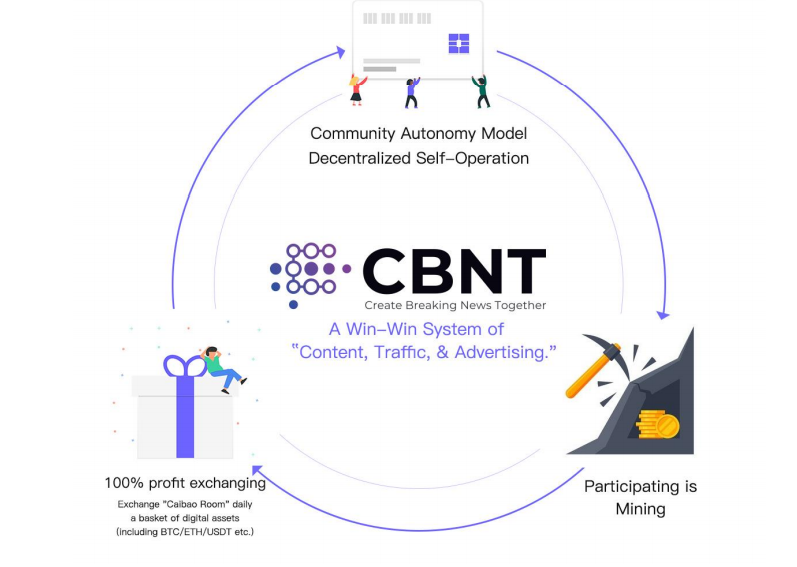 The team at CBNT thinks this business model is not sustainable, and CBNT aims to change the conventional business model of content platforms and let every participant benefit from CBNT. Adopting the “participating is mining” model, CBNT will issue tokens, which represents rights on the platform. CBNT will focus on blockchain information and financial and investment fields which are highly related to the token economy system too. 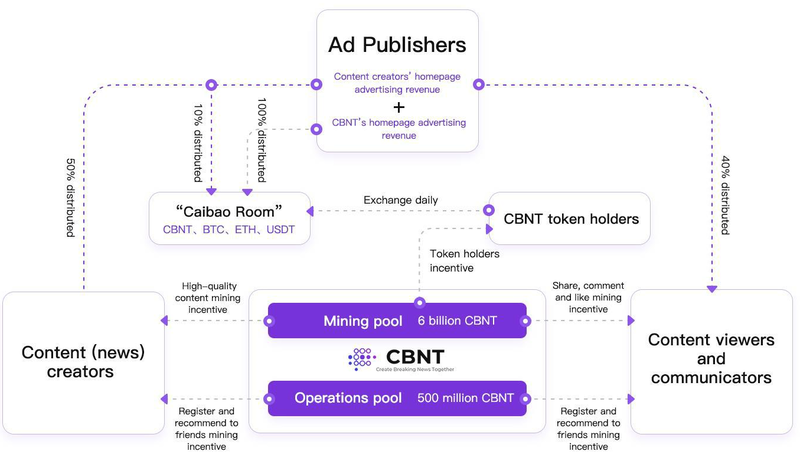 Content generators, viewers, and com-municators can mine CBNT tokens by posting content, sharing, commenting, and liking etc. 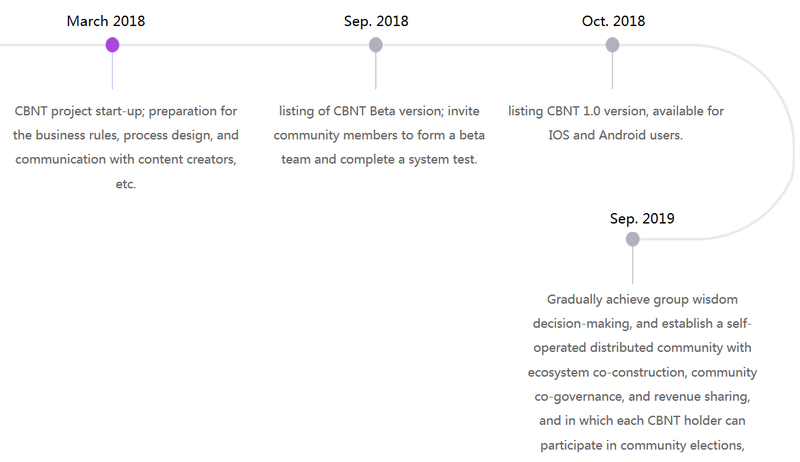 on the CBNT platform. 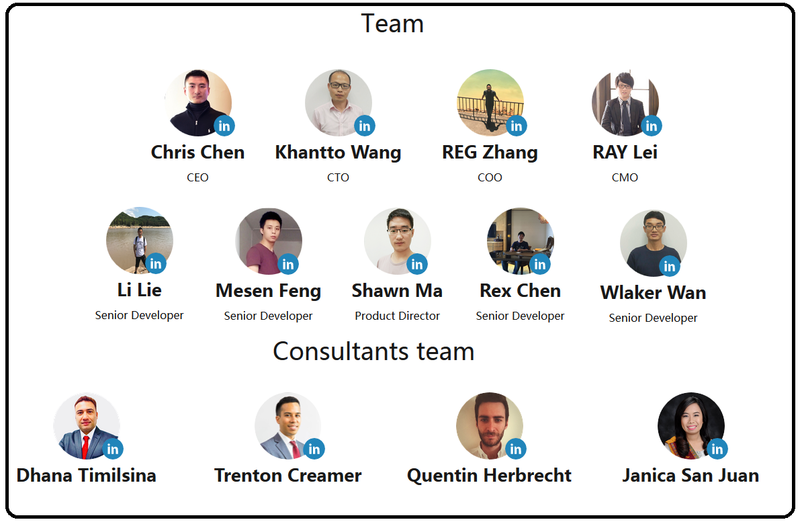 ● Contribution Value: Each user has his own contribution value (similar to Alipay Sesame Credit Score), which is mainly used to measure how much the user contributes to the community. ● Sharing: When sharing is successful, it records mining behavior, and the content value will also increase. ● Commenting: Readers that write quality comments on content. If the comment is liked by others, both the reviewer and the author can be rewarded mining incentives, and the contribution value of the reviewer will be added as the number of likes increases. ● Liking: Every effective like on high-quality content can increase the value of your content’s mining incentives. ● CB Value:Each viewer has limited mining capability. Each mining will consume a certain CB value. The CB value is only used to control whether the mining behavior can be rewarded, rather than the parameters for controlling the mining behavior. ● c Behavior Rank: In order to encourage the viewers and communicators who reveal high-quality content, the sooner the users mine content (sharing, commenting, and liking), the more content mining incentives they will receive.